Read Kids Books Online. Was Fluffers real? Were ghosts real? Great Preteen Friendship Stories, Kid Audio Book, Online Children Stories, Kid Story Books. "Caro. Caro Carolina." Her father stood in the doorway. His voice was quiet, but the kind of quiet that cut through Caro's sleep. For a moment, everything was a blur – where she was, what had happened. "Caro?" Her father's voice was different from his usual voice. For once, it sounded worried. Memories came back. The dream. The night. Jake. Talking to Geela, telling her what had happened. It all came back. Her almost falling asleep on the sofa in Pirate's Den. Geela hadn't thought that was a good idea, not unless they woke up Caro's parents and let them know where she was. Caro hadn't wanted that. So Geela had walked Caro across the scruffy grass to Caro's home. "Sure you'll be all right?" The door had clicked shut behind her. For once she hadn't turned any lights on. Her mother always said she had cat sight, because she could see pretty well in the dark. Anyway, she knew her way upstairs, and for once, she hadn't been afraid. In her room, her sleepiness had disappeared. She had been awake for a long time. Someone had hit Jake and had not stopped. It had been dawn, with birds chirping and a bright rose line across the horizon, before her eyes closed. "Mm," said Caro without moving, "mm." But now she was awake. "Caro, there's someone here who wants to speak to you." Her father paused. Read Kids Books Online. Was Fluffers real? Were ghosts real? Online Children Stories, Kid Story Books. Meg liked kids books, but Myra sometimes sides with preteen stories, or juvenile literature, or even adolescent novels. that was somehow a bit about psychic things. He liked imagining, wondering - like Meg more than Myra. preteen girl friendship stories, good online children stories, best kid story books, favorite ghost dog stories. they'd been enjoying but they couldn't remember how they got there. 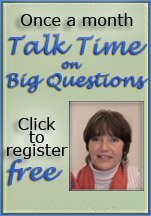 Was it with kid story books, good online children stories? a ghost dog, a hit and run. 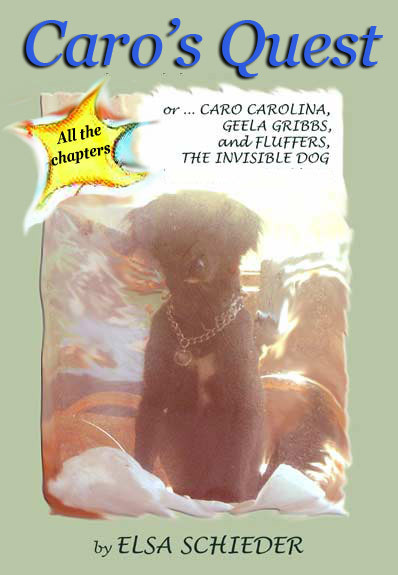 To read kids books online, click here for Caro's Quest. After you read kid books online, you can comment here. To order Caro's Quest, an online kid book, click here.